Kunsten is delighted to present the first solo show in a Danish art museum of work by the Finnish artist, Kaarina Kaikkonen (b. 1952). It is also the first solo show of work by a Finnish artist since the reopening of Kunsten, the only museum in the world designed by the Finnish starchitect, Alvar Aalto. 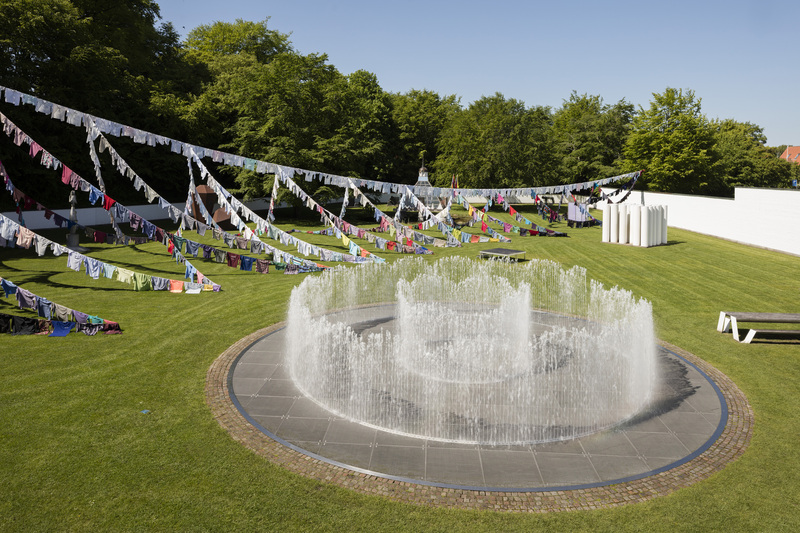 For Kunsten the artist has created two massive installations exclusively for the Museum: one outdoor and one indoor work. 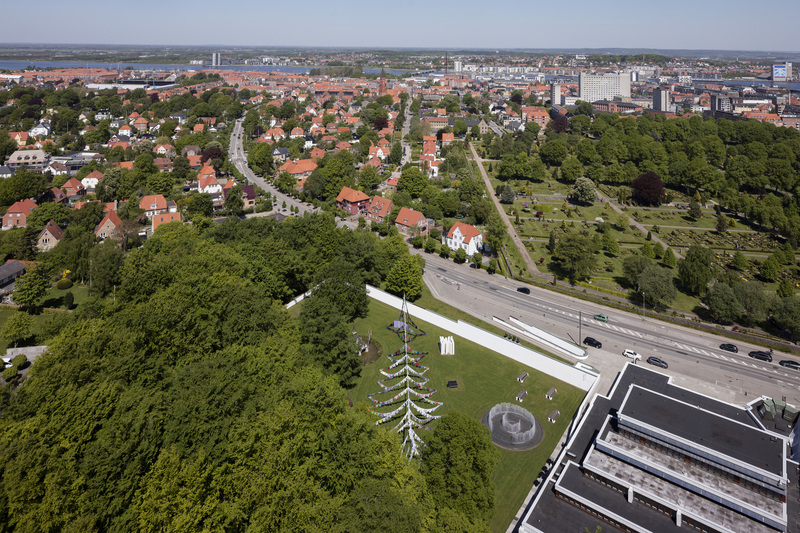 Kunsten’s Main Gallery will feature a work, which uses the space as a cathedral of light, while the Sculpture Park will feature a work that enters into a dialogue with the surrounding nature and the architectural setting. Both works entail impressive, time-consuming work and require a large number of people. 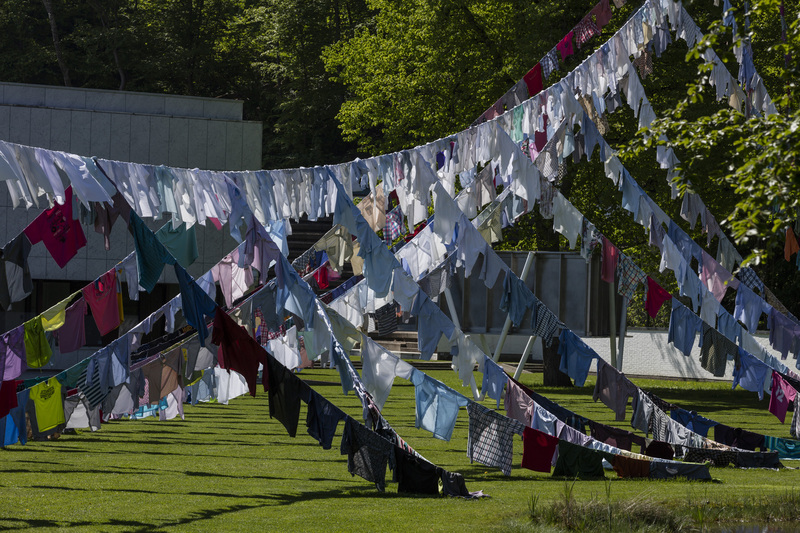 They involve a myriad of shirts donated by people for the project and the technical installation of the huge outdoor work, which starts in the surrounding woods and ends in the Museum’s Sculpture Park. Can art be at once intimate and social, fragile and powerful? 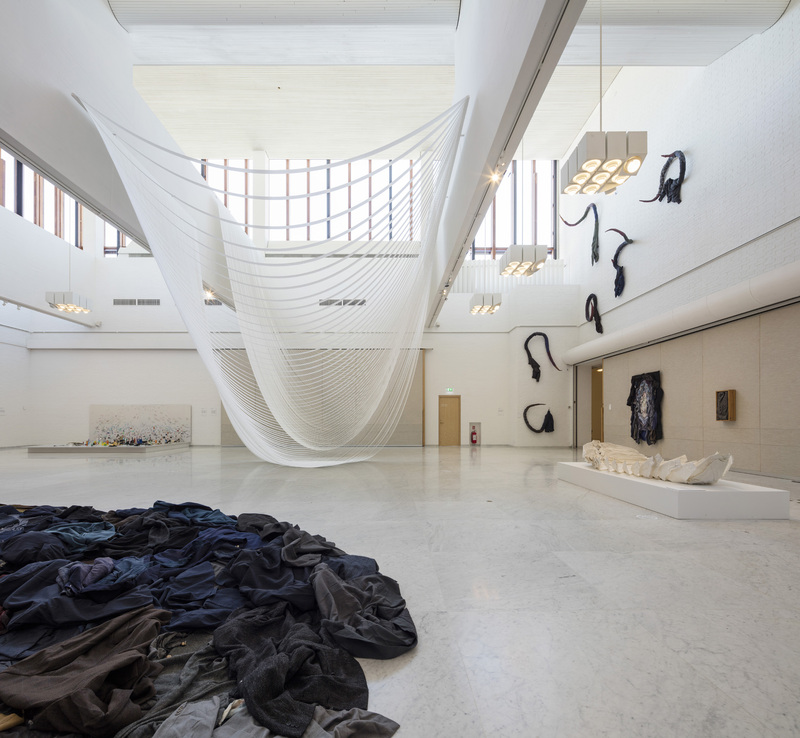 Kaarina Kaikkonen reconciles opposites in her huge, spectacular and sensuous works, which move people and tackle the subject of existence. Kaarina Kaikkonen stubbornly insists that materials can tell stories, and the existential depth of her works is often rooted in the artist’s own personal stories: for example, the loss, first of her father and then of her mother. The artist transforms these stories into universal tales of loss, life, death, memory, love and hope. 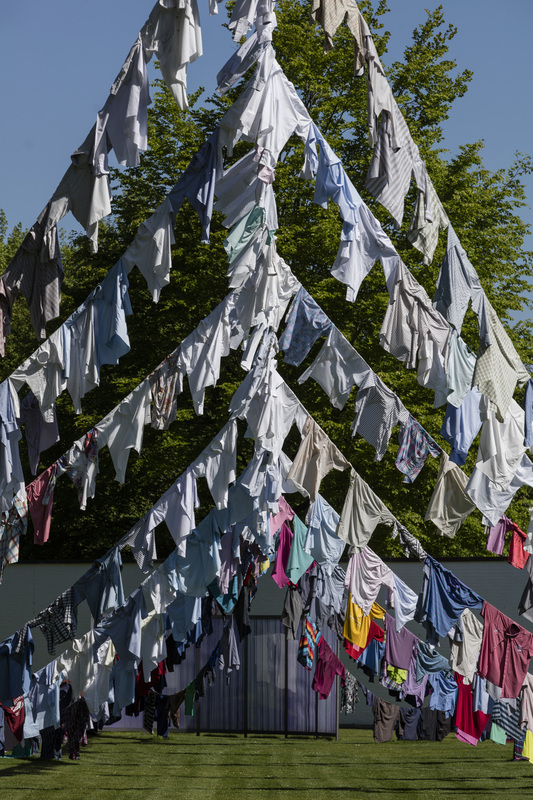 Generally Kaarina Kaikkonen’s works are made up of recycled materials: for example, used shirts, skis or dance shoes. She assembles them into gigantic installations that cast a spell over viewers with an immediate and overwhelming beauty. Kaikkonen is already represented in Kunsten’s collection by the work, Queen of the Night, so maybe you are already familiar with her talent for transforming a shoe into an insect or a flower that is at once beautiful, unsettling and enticing? 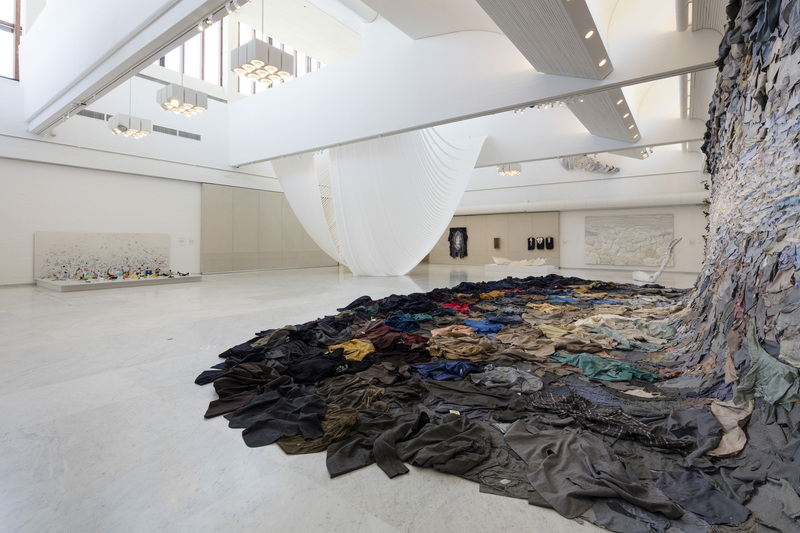 Kaarina Kaikkonen has exhibited at major museums such as MAXXI in Rome, Kiasma in Helsinki, the Hermitage Museum in Saint Petersburg, and at several major museums in the Nordic Region, the United States and Germany, and her works are featured in collections throughout the world.